Vehicle appraisal is an art form that calls for knowledge, skill and a bit of ESP. You can use an appraisal guide book (such as the NADA Vehicle Value Guide below) to find a ballpark estimate of a vehicle's value, and you can come closer by watching what similar vehicles sell for in your local newspaper and/or on AntiqueCar.com. But it takes a professional appraiser to get much closer - particularly for unique and/or valuable antique, vintage or classic cars. Information is a valuable commodity when trying to sell a vehicle and the professional will what to know as much as possible about the vehicle for sale, the competition and potential buyers. The professional appraiser will start with a thorough vehicle inspection to compare the vehicle to others that sold recently. He will also consider the timing and location of comparable antique, vintage and classic car sales and even the people who bought them. Anybody can find comparison prices and make an educated guess about a vehicle's value but only a skilled appraiser will have the contacts and wherewithal to determine the true value and the best procedure for selling it. When looking for an appraiser a good place to start is the American Society of Certified Auto Appraisers (ASCAA), whose goal is to make sure their members adhere to a set of standards, ethics and good methodology. They provide training and their website offers a contact form to locate a ASCAA certified antique, vintage or classic car appraiser in your area. The following professional vehicle appraisers specialize in evaluating brass, antique, vintage and classic cars, hot rods, muscle cars, trucks and vans, motorcycles, motor homes and trailers. If you have a concern or comment about a listing please contact our webmaster@antiquecar.com. http://www.www.survivor-cars.com: Survivor Classic Car Services offers the most in-depth pre-purchase inspections available. All inspections come with at least 200 photos and 2 videos of the vehicle. They serve from Spring Hill to Naples, and Tampa to Orlando. http://www.TestDriveTech.com: Test Drive Tech opened in 2009 and their business was founded on helping the consumer make an educated purchase decision by inspecting and appraising vehicles prior to purchase. They have been relied upon in the St Louis, Missouri, area as the experts in lemon law and misrepresentation claim inspections and have been contracted by some of the hardest hitting attorneys in the St Louis area. They have inspected vehicles as unique as a 1920 Kissel Bug and 1918 Roamer to even the most modern and electrically sophisticated Mercedes Benz and Tesla. Test Drive Tech strives for customer satisfaction and perfection and truly take their time during each inspection and appraisal to assure accuracy. http://www.motortechappraisals.com: Since 1970, MotorTech Specialty Vehicle Appraisal Network has been serving all 50 states providing certified value appraisals and damage estimates for all classic, special interest and custom automobiles and trucks, along with recreational vehicles, watercraft, heavy equipment, and agricultural machinery. Motor Tech Specialty offers a variety of options to fit any budget, from virtual appraisals to complete on-site physical inspections, test drives and evaluations. Professional vehicle appraising is their ONLY business and has been for all of our 45 years. They don’t buy, sell, barter, repair, restore or transport motor vehicles, nor do we permit them to be advertised for sale on our website. They believe a full-time commitment to appraising allows them to concentrate on what they do best, and to offer the highest quality, most timely evaluations possible. http://www.Automotiveappraiser.com/: AVM Automotive Consulting provides professional automotive, appraisals, diminished value reports, pre-purchase inspections, sell for valuations, buy, sell auction and collection assistance, qualified estate valuations, court qualified automotive expert and legal consulting services for the owners, insurers, lenders, accountants for vehicles including antique, classic, exotic, custom vehicles, prototypes, special purpose trucks, auto parts and related equipment of all types & sizes from as old as eighteen hundred sixty five to present models. http://www.flymall.org/: Fly Mall offers an industry trained appraiser for collector vehicles including antique, vintage and classic cars and motorcycles. They specialize in rare British and European motorcycles and micro cars/three wheelers. They can also appraise incomplete projects, parts, engines, or other components. Their appraisals have been used for estate settlements, divorce cases, diminished value claims, tax deductions, and more. http://autoappraisal.com/index.htm: Auto Appraisal Group Inc. (AAG) are professional, certified automobile appraisers that are located throughout the United States. They preform pre-purchase inspections; they appraise classic cars for current value; and they offer total loss and diminished value appraisals. If you need a certified automobile appraiser or a thorough vehicle inspection the Auto Appraisal Group can provide it through their nationwide network of certified professionals. The Auto Appraisal Group began in 1989 and is qualified to handle all types of vehicles, including antique, vintage and classic cars, trucks, muscle cars, exotic cars, custom street rods, kit cars, motorcycles and current late model cars. The Auto Appraisal Group appraised the Harold LeMay collection, the world's largest private collection, and they can appraise yours. Take a look at their website to learn more. http://www.autoappraisalnetwork.com/: The Auto Appraisal Network specializes in rat rods, tricked out cars, project cars, muscle cars or most every other kind of antique, vintage or classic old custom car. They follow four goals to assure a realistic, not diminished value, evaluation. First they produce documents that are comprehensive and among the most professional in the industry. Second, they know and focus on the unusual characteristics of the vehicle to assure accuracy. Third, they provide consistent reports regardless of where the vehicle is located. And fourth, they are efficient and can usually produce a report by email within hours of completion - much sooner than other companies. http://www.bestautoappraiser.com/: The Best Auto Appraiser is owned by Dennis Mitosinkas who provides inspections and appraisals of classic cars that result in the "loss diminished" value of the vehicle. Dennis Mitosinka specializes in antique, vintage, classic and exotic vehicles regardless of whether or not they are listed in traditional value guide books. He has been involved in the transactions of thousands of valuable automobiles and knows how to determine their actual market value. He provides his clients with a thorough and descriptive explanation that includes photographs or videos as requested to assure there are no questions about the overall quality of the body, chassis, drivetrain and accessories and verifies the identification and mileage. 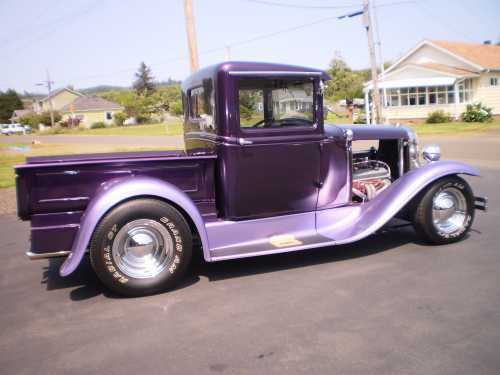 http://www.neautoappraisals.com: New England Auto Appraisals specializes in appraising antique, vintage and classic cars and street rods throughout the United States and abroad. Their motto is that they "work for you" when making pre-purchase inspections and appraisals. They make comprehensive inspections of the complete vehicle and provide assessments that reflect the fair market value. Their policy is to furnish an unbiased report to assure that the buyer has everything he/she needs to make a defendable decision. Their services include secure online access to the report and pictures for speedy results.